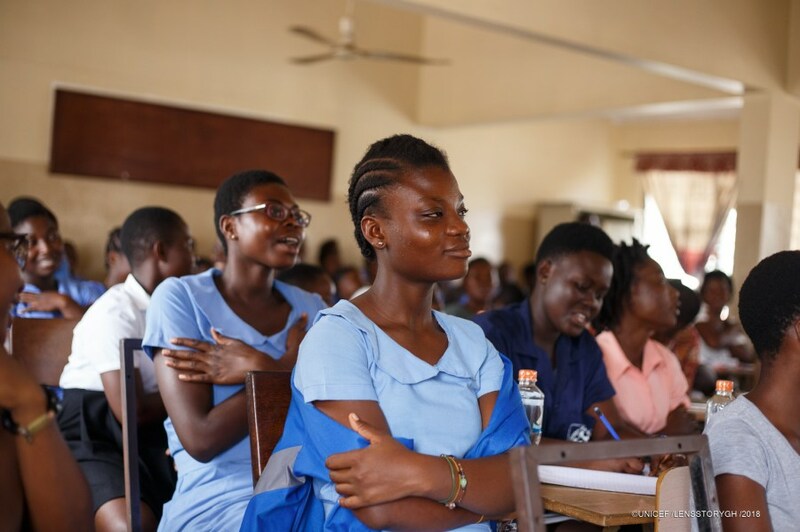 UNICEF Ghana held a mentoring session for young girls and boys of Don Bosco Technical Institute on the globally celebrated #DayoftheGirl which I was honoured to attend as a speaker and mentor to inspire them to consider writing and blogging as a career path. The Don Bosco Technical Institute which is sponsored and supported by the Korean International Cooperative Agency (KOICA) is an institute set up to train young adolescents in technical skills such as Electrical Installation, Electronics and Mechanical Engineering. Aside these technical skills, the Institute also offers other courses such as Catering, Graphic Design and Fashion. I shared my journey as a blogger and the various challenges I have faced along the way and how the steps I took to overcome most of them which served as lessons learned for the students. The girls and boys also got to learn the various tools needed to start a blog as well as the requisite skills which must be developed at an early stage. I reminded them of how lucky they were to be in a time where mentoring sessions such as this are becoming more commonplace as compared to my time in school where such programs were non-existent . It's therefore an opportunity for them to latch unto the shared knowledge and life lessons of professionals as a springboard for their future career and personal development. As a blogger and public speaker on blogging and personal development, this experience was a first for me. Mostly my audience for speaking events are usually professional adults and business owners so having to speak to young adolescents was quite a different terrain which actually turned out quite successfully. I connected with them on a deeper and emotional level. The smiles, laughter and engagement from the girls was a huge encouragement for me as a mentor. It was also uplifting to have young adolescent boys attend the event for them to gain an early understanding of the importance of girl education and gender equality. No girl deserves to be an child bride. No girl deserves to be prevented from attending school because of teenage pregnancy. I stressed this several times whilst teaching the girls positive self-affirmation words to speak over their lives. The girls also shared their challenges on obstacles they face when trying to pursue their passion, some of which included discouragement from family and friends. The students later engaged in sharing their envisioned dreams after completing their program at the institute. Most of them expressed the desire to further their education at the technical universities in the country. I could see so much hope and passion exuding from their expression and engagement during the event. It was overall, a rewarding experience for me to be a beacon of inspiration and hope to a younger generation of girls and boys. In this ever-evolving job market, if we don't prepare our girls for what's ahead, finding a job or starting their own business would be a major hurdle. An untrained, less-educated girl would be faced with sexual corruption where men ask for sexual favours in exchange for a job prospect, physical abuse from male partners because of her inability to earn her own income, forced to accept low wages , and suffer poor self-confidence due to lack of skills and knowledge. Let us come together in our own way to support initiatives and events surrounding girl education in Ghana and Africa. 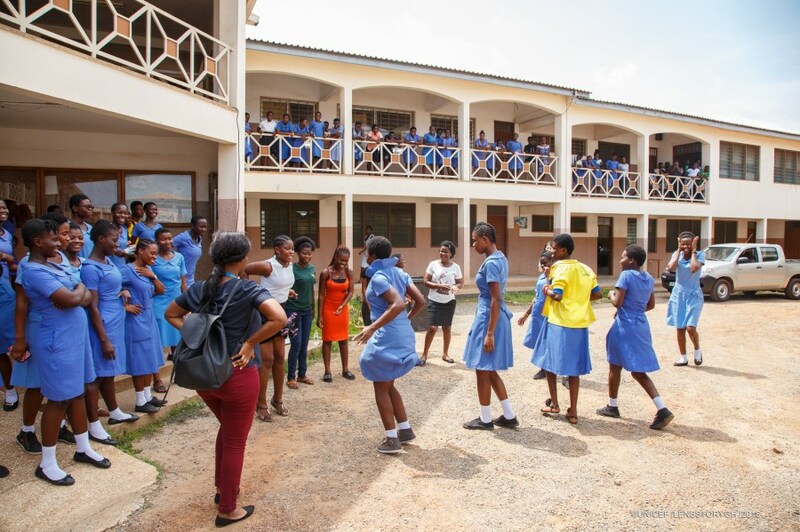 Mar 12 Standard Chartered Bank Ghana Marks International Women's Day With #GoalsGirls, An Empowerment Program For Female Tertiary Students.